The Lumix G X 14-42 Power Zoom lens is designed for video with a silent motor zoom controlled by a slider that is quite effective to use. The focal range in 4:3 format is 14-42mm which corresponds to 29-87mm in the standard 35mm format (the crop factor is 2.08 36/17.3 and not 2 how commonly thought in the classic 3:2 aspect ratio). You can see that this is lens is quite sharp at 2868 LW/PH to give you an idea the much more expensive Lumix 12-35mm reaches 3110 LW/PH though sharpness drops at corners to around 2100-2200. 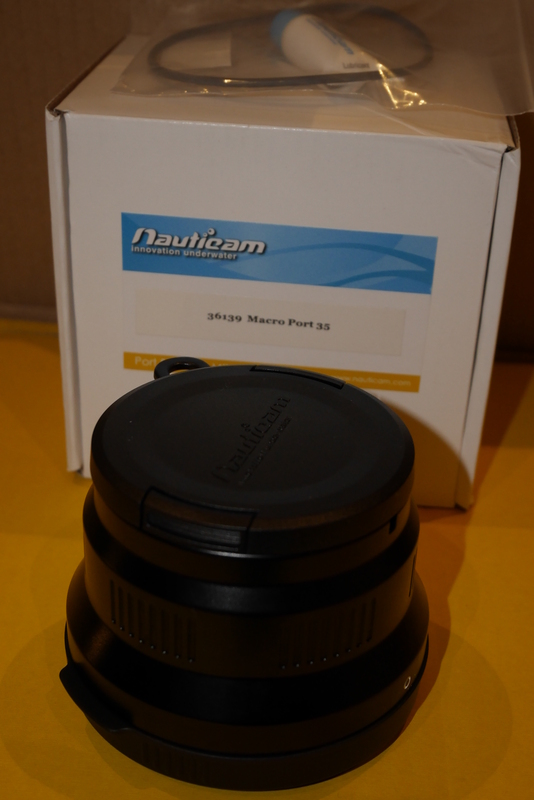 Another interesting characteristic is that this lens performs best at f/3.5-f/5.6 which is close to the widest aperture as we will use this lens with the Nauticam flat port 35 this is all good news. The lens fits very nicely inside the port leaving space for small filters and close up lenses but not really a lot. 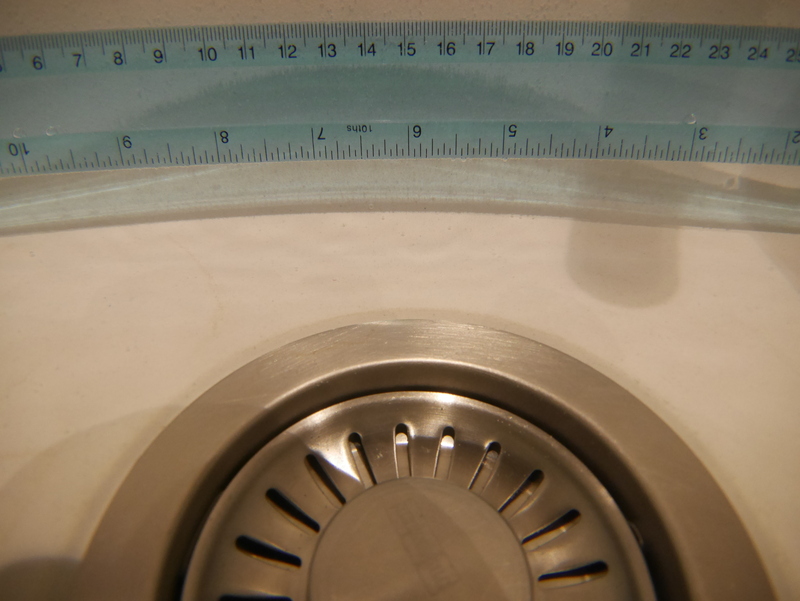 The lens does not really move much between 14 and 42 mm and reaches his longest at 14mm. I have tried using a set of Inon diopters to see the degree of magnification you can get. This shot is with an Inon UCL-165 +6.06 diopter. 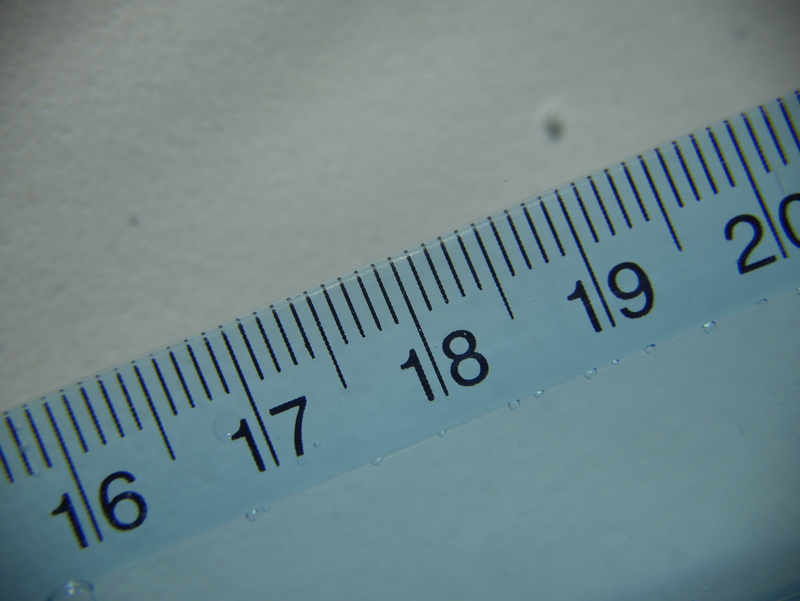 The smallest frame width with this lens is 42mm however in video mode using the ex tele converter option this becomes a much smaller area achieving in fact super macro easily with the added benefit of larger depth of field. If you are into pixel peeping you can see some chromatic aberration on the edges this is a combination of the lens and the wet diopter. I also tried stacking an UCL-165 with the UCL-330 this achieves a capture width of 32mm so we are in super macro zone. 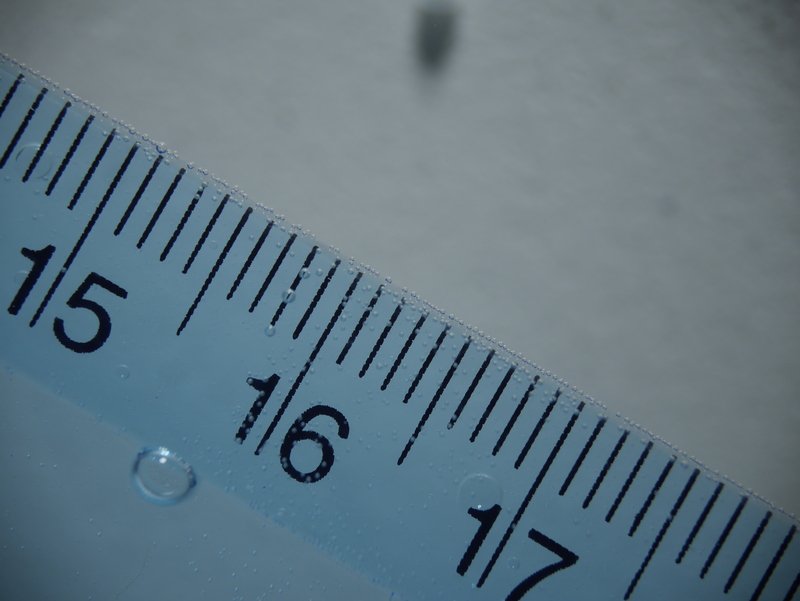 Image quality does not get much worse but there are some internal reflections here on the white surface as the Inon lenses are not coated externally. Finally I wanted to see if the Inon UCL-100 would work and it does achieving super macro without any fringing. If you want to use this lens for pygmy sea horse photography and do not want to get an Olympus 60mm this or the sub see 10 are the close up lenses to get, also the nauticam SMC is in the same range. 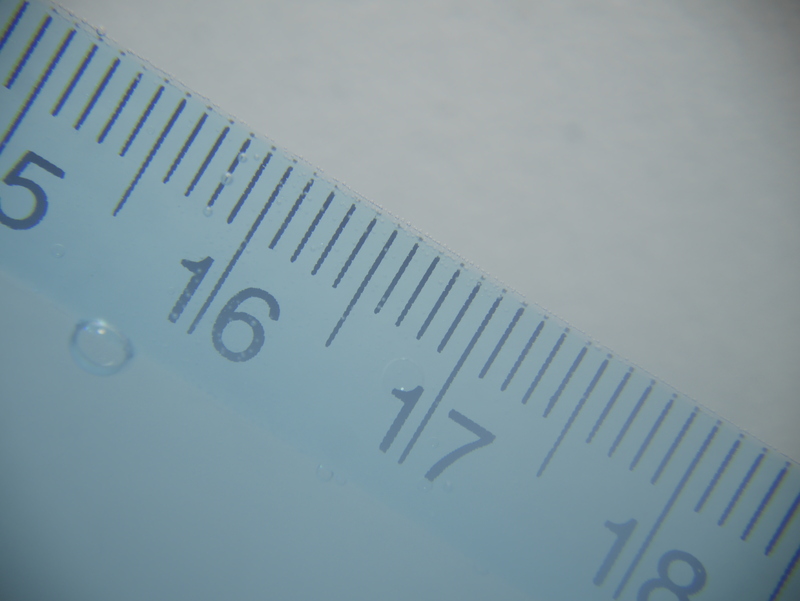 Consider that this image is taken at f/3.5 and the ruler is in the corner at ISO 1600 and you can see that sharpness is more than acceptable. More interesting is that for some reason with this lens you can fully zoom through even down to 42mm without soft corners. I have no idea how this is possible but it works just fine. So if you are a video junkie you can cover the whole 100 degrees wide to super macro with this lens the Nauticam 35 Macro Port the Inon UWL-H100 and the UCL-100. For video it gets even cheaper with the UCL-165. You can of course use the flat port to do nice fish portrait in the mid-range of the zoom. I forgot to mention the zoom gear which is actually pretty expensive because of the complex spring design. The total cost for the Nauticam 35 with zoom gear is $510 plus of course the lens itself $290 total of $800. Let’s compare to getting an Olympus 9-18mm with 4″ wide angle port and the Olympus 60mm with 30 extension ring total price $2129. Price gap for stills $393 but you now also have a mid range lens for portraits, personally I don’t really like the Olympus 9-18 behind that port comparing side by side images taken with the 14-42 PZ and Inon lens I am not sure the Olympus is any better and definitely needs diopters due to mushy corners. For macro the 60mm Olympus lens has the advantage of increased working distance but is a very specific lens that you would only use for really small stuff. For what concerns video you would probably look at the Panasonic 7-14 and forget the Olympus 60mm the combination is worth $1800 which is a difference of $636. Again the issue with rectilinear lenses and dome ports is there and the 7-14 does not take diopters. So if we were to use the lenses on land no doubt you would need additional glass but in water wet lenses can be quite cost effective especially if you use a micro four third camera for video. Peter Rowlands uses a Panasonic GX7 with Inon UWL-H100 and dome successfully and I am joining that club now. Stay tuned for more tests next to come will be the Panasonic Fisheye 8mm with the 4.33″ dome which is another essential buy for the micro four third cameras underwater, obviously for pictures and not video.